Fall has finally arrived in Japan, bringing with it a chill in the air as well as the October issue of Connect! Want to enjoy all the autumn cuisine without breaking the bank? We have one author’s guide to grocery shopping on a budget. More intrepid foodies might enjoy our insider’s look at a new restaurant bus service. Or are you one of those people who live for Halloween? This issue features some artwork inspired by Japanese urban legends that are sure to send a chill down your spine. There’s also plenty of local pride in this issue, with several contributors detailing unique local festivals, firsthand looks at local events, and ways they’ve given back to local communities- or even created their own. 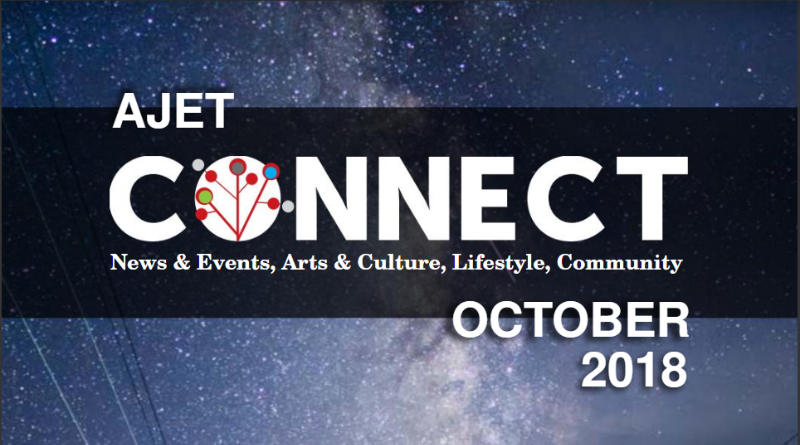 As always, Connect has a little bit of everything for every reader, so crack open this issue for the latest on news, local events, entertainment releases, and more.